British Foreign Minister Boris Johnson to meet Syrian opposition leaders to plan for gradual transition to democracy in Syria, sans Assad. Syria's opposition will set out detailed plans for the transition to a democratic state without President Bashar Al-Assad at talks in London with British foreign minister Boris Johnson on Wednesday. Ahead of his meeting with the broad-based High Negotiations Committee (HNC), Johnson told The Times newspaper that the proposals would include a six-month negotiating phase between the regime and the opposition. The subsequent 18 months would see Syria governed by a transitional body, made up of opposition figures, current government representatives and members of civil society, he wrote. "The vision is based on the Geneva Communique of 2012 and relevant UN resolutions, which stress the departure of Bashar al-Assad and his clique," the HNC said in a statement. "It calls for the establishment of a transitional governing body to protect the country's unity, safeguarding the state and its institutions, promoting the principles of freedom, equality, and citizenship." 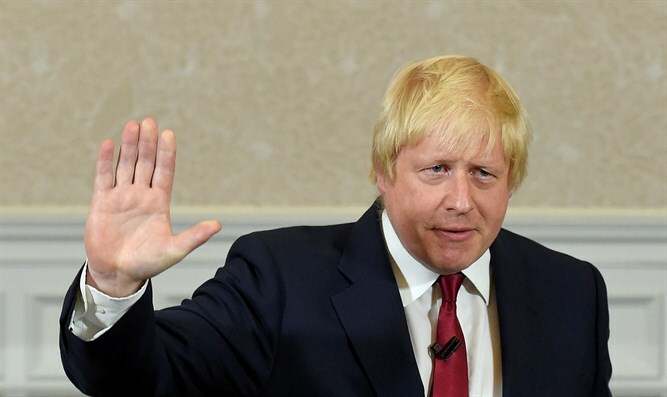 Johnson said the proposals would not seek to sweep away state structures, saying this was a mistake committed following the US-led invasion of Iraq that would not be repeated. He also used his article to accuse Assad of "barbaric military tactics" in the ongoing conflict and criticized Russia's "seemingly indefensible conduct" in backing him. "The entire international community is committed, at least in principle, to getting rid of the Syrian dictator. Even the Russians have accepted that there must be political transition," he wrote. "But then the Russians are also employing their military muscle to prevent him from losing and to keep him in power." Saudi Foreign Minister Adel al-Jubeir said the opposition was going further than before in outlining its vision for a post-Assad Syria. "It should include everybody, it should be a democracy. That's the type of system that the Syrian opposition will be putting on the table," he told the BBC. "There is no reason, no excuse for anyone to say that they don't have a plan or that their plan is not rational," he added. The Saudis back the opposition. The five-and-a-half-year conflict has forced more than 4.8 million people to flee Syria, according to figures from the United Nations refugee agency UNHCR.